Most famous yacht to the Canaguinim beach lies south of the magnificent Betul beach. It is the beautiful combination of Greenery, crystal clear waters and calmingly pristine beach environment, which mark the Canaguinim beach apart from the other beaches. 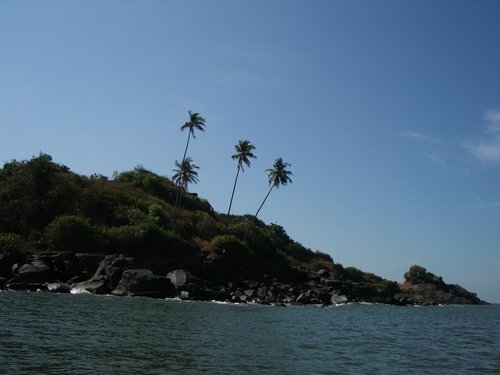 The Cabo de Rama fort lies towards south and the beach affords a magnificent view of the fort. Canaguinim beach is a pleasant experience to have the entire stretch of the silver sand beach without any disturbance. The beach is known for its tranquil atmosphere with practically no crowd or noise where you can claim the entire Stretch of the beach all to yourself.The isolated nature is the main attraction of this beach. Its romantic place to visit speacially for honeymoon holidaying in Goa. Please read these Terms & Conditions carefully and make sure that you understand them, before making a Booking through our site.